Metal and semiconductor nanocrystals are important elements in many nanomaterial based applications, such as sensors, photonics, imaging, catalysis, and energy. In addition to isolated metal or semiconductor nanocrystals, they have also been assembled into super structures, or combined into one heterogeneous structure. The interaction between the components in the super- or hetero structures (such as charge transfer and energy transfer) leads to many new properties different from the properties of the parent components. For example, hybrid metal-semiconductor nanostructures are efficient photo-catalysts for many reactions. In order to further advance the development of new functional metal and semiconductor nanostructures, new synthetic methods are required to control the growth or assembly of the nanostructures. Properties (including structural optical, catalytic, and electronic) of the new materials need to be examined using many different spectroscopy, microscopy and electrochemical methods. Further research in applying materials also need to be explored, such as sensing, imaging, photo/electro catalysis, electronic devices. 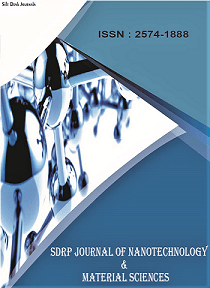 This Research Topic aims to collect articles related to the synthesis, assembly, spectroscopy and applications of metal, semiconductor and super/hybrid nanostructures. We sincerely welcome the submission of both original research articles and reviews (mini and full length) broadly related this topic.